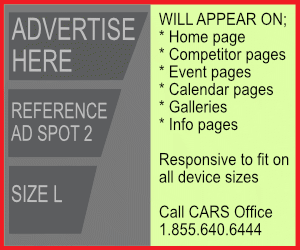 All competition events sanctioned by CARS are governed by the General Competition Rules. The GCRs can be found in the CARS Rule Book. Performance Rally, Rally Sprint and Rally Cross events are governed by the CARS National Rally Regulations. 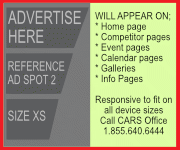 The NRRs can be found in the CARS Rule Book. Navigational Rally events are governed by rules as set out by the host region. The vision of the Canadian Association of Rally Sport (CARS) is for the motorsport of rally to be growing, inclusive and professional, widely understood and supported by competitors, volunteers, communities, government agencies and corporate partners. 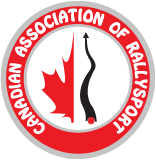 The mission of the Canadian Association of Rally Sport is to support and promote the motorsport of rallying within Canada. 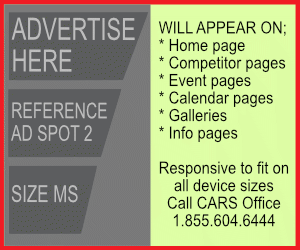 CARS is a not-for-profit corporation with authority over rally sport activities in Canada and is affiliated with ASN Canada FIA. the CARS executive represent rally clubs in Canada through five elected regional Directors and a President. CARS works with the five Canadian regions, the clubs as well as event organizers to provide the framework for safe and effective competition with a set of regulations and infrastructure for rallying events held in Canada. All CARS clubs’ members and all participants in CARS events shall conduct themselves according to the highest standards of behaviour and sportsmanship and in a manner that shall not be prejudicial to the interests and the reputation of CARS or its Regions or of motorsport generally. Failure to do so shall be deemed a breach of the CARS GCRs and may result in penalties being applied. All participants in CARS sanctioned activities shall be bound by this Code of Conduct. All participants in CARS sanctioned activities shall accept that motorsport can be dangerous and entails inherent risks. All participants in CARS sanctioned activities shall be treated with consideration and respect. All participants in CARS sanctioned activities shall endeavour to portray a positive image of rallysport through their exemplary driving habits. All competitors in CARS sanctioned events shall assure that their vehicle complies with the regulations of the event and the class that it is registered for and that their vehicle is presented in roadworthy condition. Participants in CARS sanctioned events shall not knowingly place themselves or others in a position of undue risk. Consideration of safety shall be placed before competitive goals. CARS members shall pledge to demonstrate in their actions care and concern for the environment.